all this performed to original music recorded by 80 musicians and 60 chorus singers. 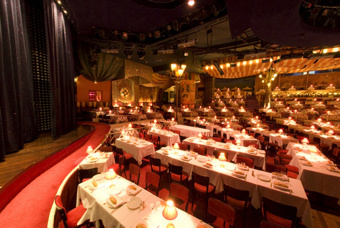 , who find themselves entering the Garden of the moulin Rouge to discover the magical atmosphere of the place ! A touch of nostalgia. From this momement on, the spectators let themselves be enthralled by the beauty if the Doriss Girls and the Doriss Dancers! lady of his dreams; or will he be witnesses to a sacrifice of love? 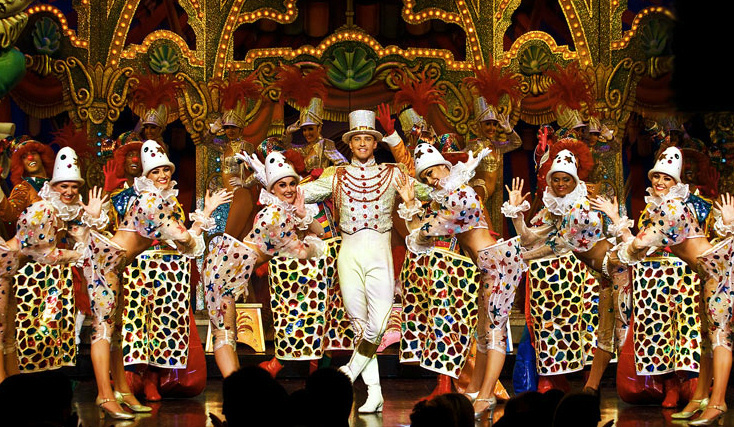 The circus comes to town... with its band of clowns, Siamese twins, pierrots, acrobats, jugglers, wierd wild animals and six miniature horses! 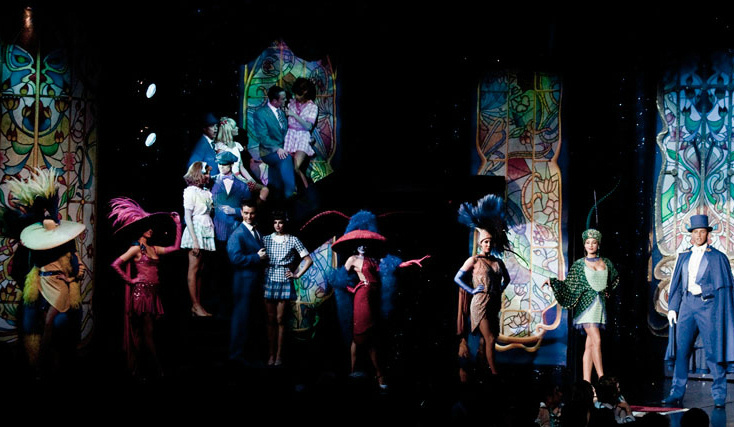 Colorful scenses to beautiful music anding with the great parade of the Dorriss Girls and Doriss Dancers. with Java or Boogie music. Time passes and leaves space for new generations of women, more beautiful and free than ever! As the highlight of this tribute, the Doriss Girls dance the world famous French Cancan! with top artists are sometimes funny, sometimes moving and always surprising! 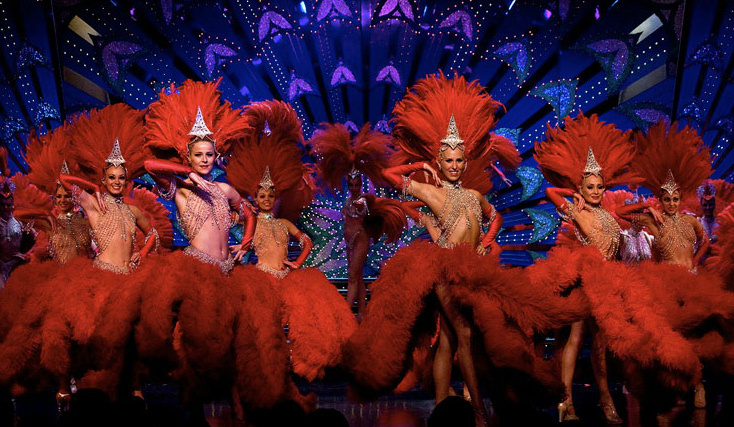 A venue with 800 seats decorated in the Belle Epoque style opens its doors to you so you can experience an unforgettable evening, enjoy a dinner in the best French gastronomic tradition, and discover the spectacular ‘Feerie’ show. Admire the authentic frescos and Morris columns with their original posters of the artists who have performed on the stage of this legendary cabaret: Edith Piaf, Jean Gabin, Frank Sinatra, Liza Minnelli, etc. 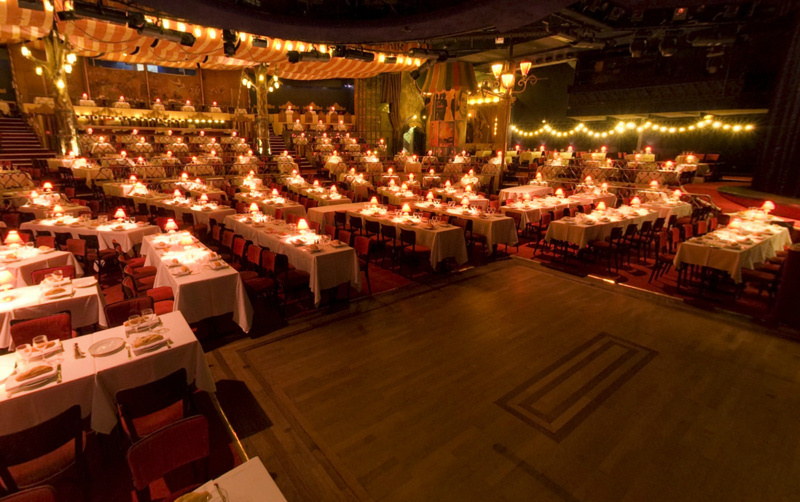 On the tables are the emblematic small red lamps, like fireflies, which give the warm atmosphere so typical of the most famous cabaret in the world. All your senses are awakened: it is a feast for the eyes, a banquet so replete you will never have your fill!